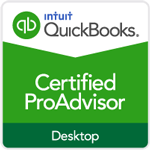 Goodbookkeepersoncall.com (or simply GBC) was founded in 2016 as a division of Nazaire & Co, an accounting and business consulting firm located in Garden City, New York. Our bookkeepers and accountants are certified QuickBooks ProAdvisors in bookkeeping, coming equipped with anywhere from 3 to more than 15 years of experience and vast expertise in QuickBooks software. Whether you require assistance on-site or remotely, our bookkeepers can effectively keep track of every penny that enters and exits your business. 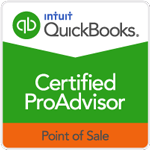 Also in the interest of helping businesses become self-sufficient, we put a strong emphasis on ensuring our clients have a complete understanding of how to properly utilize tools like QuickBooks and the responsibilities that come along with financial management. One of the prime benefits of GBC is in its pricing. Our team of experienced bookkeepers possess the knowledge and experience but the relatively high hourly rate of an accountant. This makes GBC the perfect choice for smaller-sized businesses concerned with hiring an accountant. With hourly rates you can afford and bookkeepers you can trust, GBC is sure to satisfy your financial monitoring needs no matter what industry you operate within. While hiring an in-house bookkeeper may seem like the best solution, outsourcing one comes with its own set of benefits. In addition to skipping the hassle of interviewing, and hiring, outsourcing your bookkeeping helps you save money on payroll taxes, employee benefits, and insurance. Learn more about the founding of GoodBookeepersOnCall.com and its certified ProAdvisors.